Since being on bed rest I’ve done a lot of reading. I’ve been pretty open to just about anything. When a friend suggested The Hunger Games trilogy, I wasn’t too interested since it wasn’t my type of book. Well, I loved them. I’m really hoping I get to see the movie before the baby comes! Are you planning on seeing the movie? 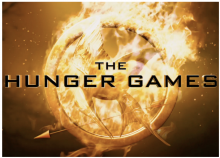 If so, Fandango is offering a FREE iTunes download with the advance purchase of The Hunger Games tickets. This offer is good until March 14th so make sure you grab your tickets before then to get the free download. Offers Feb 23, 2012 in books, entertainment, movies, TheHungerGames · Expired! 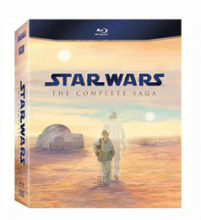 For one day only, you can purchase the Star Wars: Complete Saga for Blu-Ray for only $70! This set usually retails for $139.99, but will be available at 50% off today at Walmart.com. The set includes Episodes I-VI; Star Wars Documentaries; deleted, extended and alternate scenes; matte paintings and concept art; supplementary interviews with cast and crew; and more! Don’t forget you can ship Free to your local Walmart store with Site to Store shipping, or ship home with 97¢ shipping at Walmart.com! Head over to Walmart.com to grab this one day deal! Walmart Jan 11, 2012 in entertainment, movies, StarWars · Expired! Children’s Fairyland Two-Pack Of Tickets For Only $8! We just went to Fairyland for the first time a couple months ago, Em loved it! My husband even said he’d be willing to take her back. I was really happy to see this deal again. 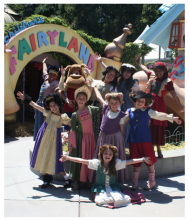 This week you can get a two-pack of tickets for Storybook Theme Park Fairyland for only $8! That’s 50% off the regular ticket price. Head over to Mamapedia and get this awesome steal, you won’t regret it! Daily deals Jan 9, 2012 in entertainment, family, Mamapedia · Expired! Do you have a Lego fan at home? 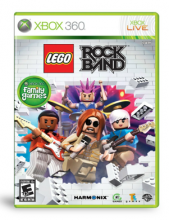 Amazon.com has the Lego Rock Band game for the Xbox 360 for only $9.99. The regular price for this game is $29.99! Remember, Amazon loves to change their prices regularly. If you want this game, I’d grab it while the price is so low. Eversave.com has a fun deal for you today. Get a $50 Restaurant.com Gift Card plus 2 movie tickets from Hollywood Movie Money for only $22. Head over to Eversave.com here to grab this deal. If you don’t have and Eversave.com account yet, you’ll get a $2 credit just for signing up, making this deal only $20! Hollywood Movie Money certificates are accepted at virtually every theater in the U.S. After purchasing, use the codes on your voucher to redeem your Hollywood Movie Money tickets and Restaurant.com Gift Card. Daily deals Jan 5, 2012 in entertainment, Eversave, food, movies · Expired! Chuggington Let’s Rid the Rails DVD as low as $0.99! Some select Best Buy stores have Chuggington Let’s Ride the Rails DVDs for only $4.99 this week. We love Chuggington around here. What makes this a great deal, there’s a coupon for $4.00 off Chuggington on DVD this week. You can get this as low as $.99! Grab your $4.00 off Chuggington printable coupon then head into Best Buy! Does your Best Buy have it? I looked yesterday and ours was sold out! Daily deals Dec 29, 2011 in entertainment, family, Groupon, kids · Expired! Wow! Here is another great deal today from Saveology! Today you can get a $10 Subway Card PLUS 2 Fandango Movie Tickets for only $24! Head over to Saveology and check out this national deal for â€œ2 Footlongs & A Flickâ€ while supplies last! Pan Am Season 1 on Amazon Instant Video is FREE! I don’t know how many of you know this but I use to be a flight attendant. I love aviation in general and loved being a flight attendant. I was so excited when they came out with the tv drama Pan Am. If you haven’t seen it, you can get the entire season for FREE today over at Amazon.com! There were only 9 episodes and Amazon.com has them all for FREE! For a light hearted aviation drama, head over to Amazon and grab it while it’s free.